Over the past year, Adele has taken the country by storm, sweeping the 2012 Grammy Awards and taking home six titles, including one for Album of the Year. The British singer-songwriter has been smashing records ever since her 2008 appearance on Saturday Night Live and her 2009 Grammy for Best New Artist. The success of her second album, 21, made her the first living artist since the Beatles to have two top-five hits in both the UK singles and albums charts. The album hit the #1 spot in 18 different countries. In the U.S., 21 is the longest running number one album by a female in Billboard history, surpassing Whitney Houston's The Bodyguard. To put it simply, her worldwide success is unmatched. —What was Adele's childhood like as the daughter of a single, teenage mother? —Growing up, who were her biggest inspirations and influences in the music industry? —As someone whose career depends on her voice, what was it like being diagnosed with a vocal cord hemorrhage? —How did canceling her Adele Live tour affect her career? —How did she make the decision to perform at the Grammys, while still recovering from vocal surgery? 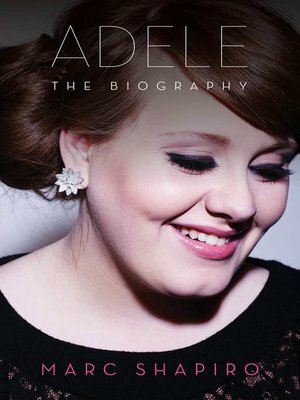 A must-read for every Adele fan.